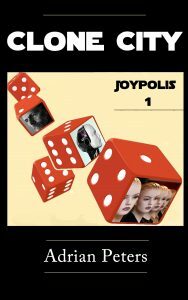 Clone City is the first of seven in The Joypolis Series. It is a thriller that narrates the story of a city called Joypolis whose inhabitants believe it is the last civilised outpost of humankind. The story begins at the time when Joypolitans believe they have overcome all the challenges of the past. In a world devastated by the impact of asteroids, they believe their survival was thanks to a single act of monumental importance – the decision to clone. As the number of clones would far exceed their own, they thought it best to separate them from ‘true’ human by conditioning them for the duties they would perform. Combining ground-breaking advances in how language is processed in the brain with a program of indoctrination, they create a compliant labour force.